Opinion Forum » Is Technology Creating a Generation of Bad Decision Makers? Decision making is another aspect of children’s thinking that seems to be suffering as a result of the latest technology. This poor decision making is illustrated by events over the last few years involving young people making egregiously bad decisions that involve technology (not to mention the frequent examples occurring in the adult world!). For example, teenagers whose “sexting” to a friend is released in cyberspace, embarrassing or illegal behavior that’s recorded on mobile phones and uploaded onto the Web, and the tragic consequences of cyberbullying. In looking at decision making among children, let me begin with a brief lesson in brain anatomy and functioning. Children start off at a severe disadvantage when it comes to decision making because the prefrontal cortex doesn’t fully develop until well past adolescence. The prefrontal cortex is instrumental to so-called executive functioning, namely, determining good from bad, planning, recognizing future consequences, predicting outcomes, and the ability to suppress socially inappropriate behavior. This means that children begin their lives “behind the curve” when it comes to decision making; their default is to make poor decisions. So, anything that makes bad decision making easier for children to act on just adds insult to injury. Let’s start by putting bad decisions in their proper historical context. Humans have been prone to flawed decision making for as long as we have roamed the earth. Whether a mild act of embarrassing stupidity, such as putting one’s foot in one’s mouth with an untoward comment, or an act of career-ending idiocy, such as insulting the boss around the water cooler, faulty decision making is a decidedly human attribute. Why have we not evolved into better decision makers after so many eons of bad decisions? Because we have yet to gain mastery over our primal urges or our unconscious needs and insecurities, both the primary drivers of poor decisions. Nor have we been able to avoid falling prey to the myriad of cognitive biases (e.g., selective attention, rationalization) that blur our lens of reason. All of these forces conspire to prevent us from gathering sufficient information, analyzing it effectively, and using it exclusively to come to “rational” decisions (in other words, we will never be like Star Trek’s Mr. Spock). Everything that I’ve just described about all people goes double for children. Before the recent technological advances, there was more time for children to avoid acts of ill-advised decision making. For example, when a teenaged boy was angry at the girl who just broke up with him, he had to write the imprudent letter, put it in an envelope, address and place it in the mailbox, and wait for the mail carrier to arrive. There was, as a result, ample time for him to reconsider the suitability of that particular course of action. Due to the slowness of communication in those primitive days of snail mail, children had the opportunity to, for example, calm down, get some feedback from a parent or friend, reflect on their situation, consider the consequences, change their minds, prevent bad behavior, and avoid potential embarrassment, disgrace, or criminal charges. Plus, the “blast area” (think dynamite) was limited by the still unsophisticated means of communicating those poor decisions to the world. The technological developments of the last decade have made poor decision making easier, more immediate, and more widely consequential. 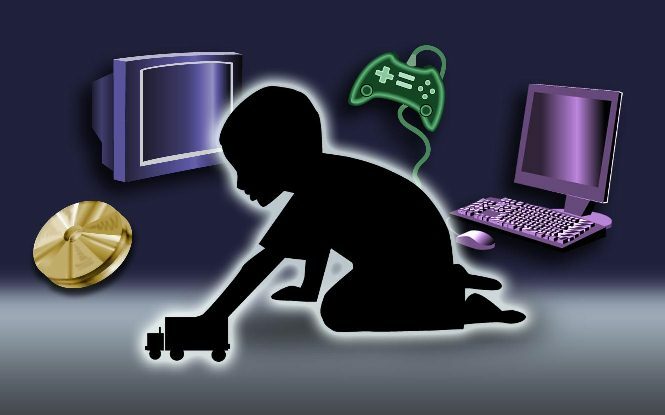 Technology discourages children from thinking and deliberation, and promotes acting on their most base impulses, emotions, and needs, for example, anger, fear, or need for approval. Children can make regrettable decisions more quickly, be caught in badly conceived acts more readily, and be more publicly humiliated before a far broader audience than ever before. Returning to my rejection example, that entire process of rejection (by a text message perhaps) and poorly thought-out reaction can now occur in a matter of seconds, with fewer than 140 characters, and can subsequently be broadcast to millions in a matter of minutes. Making horrendous decisions has never been easier or faster for children. The immediate and collateral damage (think 500-megaton nuclear bomb) can be staggering in comparison to generations past. With the emergence of the Web, email, mobile phones with cameras, Facebook, YouTube, Twitter, gossip web sites, and online sleuths, there are newer, faster, and more creative ways to have dreadful decision making illuminated for anyone with an Internet connection to see. Plus, these decisions have a much-longer “afterlife” because of the digital fingerprints that they leave and are so difficult to erase. What do the many recent examples of uninspired decision making in this high-tech era have in common? Opportunity, ease, speed, reach, and irreversibility. Don’t think that popular culture is going to get off lightly when it comes to decision making. To the contrary, while technology again can cause children to make bad decisions by the very nature of its design, it can’t be blamed for those poor decisions. With popular culture, it’s an entirely different story. Popular culture wants your children to make flawed decisions because what is usually bad for them is good for popular culture, that is to say, profitable. In fact, popular culture wants to take your children’s decisions out of their hands—and yours—and put those decisions in its control. Popular culture wants to make your children’s decisions for them, in what they should think, how they should feel, and how they should act. More specifically, popular culture wants to decide for your children what they wear, what they eat and drink, what television and movies to watch, what video games to play, what music to listen to, and what magazines to read. In other words, popular culture wants to dictate how your children spend their money and yours. To that end, popular culture wants your children to be impulsive, demanding, greedy, and selfish, in other words, bad decision makers. There are important lessons to be learned by both your children and you from these popular culture-induced and technology-encouraged poor decisions. For your children, the lessons are usually learned after the fact when the damage is already done. Sadly, such bad decisions can haunt children’s lives for years to come. For you, the lessons involve ensuring that your children don’t have unlimited and unguided access to popular culture and technology that can aid and abet poor decisions. Perhaps more importantly, they mean proactively teaching your children how to make good decisions and, in doing so, accelerate the development of the prefrontal cortex that is ultimately at fault. More on what you can do to help your children become good decision makers in my next post.